Jeep Scrambler: Ahead of Its Time? The Jeep Scrambler CJ8: Ahead Of Its Time? Did the Jeep Scrambler (aka CJ8) come onto the scene at the wrong time in history to be successful? Well...to try and answer that question let's take a look at what was going on in the world at or around the time of the Scrambler's debut in 1981. Since the first big "gasoline crisis" in 1973 due to the Arab oil embargo, and again in 1979 due to even more turmoil in the Middle East including the Iran Hostage situation, AMC Jeep (and all of the automotive industry) was struggling to stay afloat. Losses within the industry were enormous and affected the smaller companies like AMC more dramatically than the larger automotive corporations. 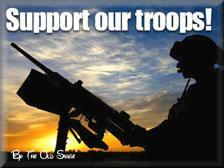 World production and export of oil was being held hostage as well as the American civilians in Iran. The impact changed the world's view on prior notions of inexpensive oil based and oil consumption products. Plenty of uncertainty in the world economy pushed much of the auto buying public to seek "cheaper" means of transportation which translated into better fuel economy and lower initial cost. The U.S. government didn't help matters by dumping costly emission and safety requirements on automakers without any forethought with regard to the financial impact on the consumer. You see when government requires companies to do its bidding...guess who pays the cost? Go to the head of the class if you said "you and me". The timing couldn't have been better for the foreign (non-American) car/truck market which already produced smaller, cheaper, and economical to operate vehicles. Okay...so the competition became greater to produce more efficient vehicles in every automotive category. 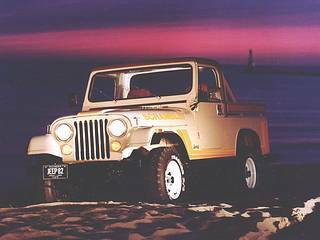 In 1981, with the auto makers still in recovery mode, the American Motors Corporation decided to introduce the Jeep Scrambler CJ8 to compete with other American small domestic pickups such as the Ford Ranger and the Chevy S-10. Clair's 1981 CJ8 Scrambler...click on photo for more! By this time AMC was the number four American auto maker and desperate to have at least a few "hits" in the marketplace among the "Big Three": Chevrolet, Ford and Chrysler. All the while the Japanese and European auto manufacturers were gaining a greater and greater foothold in the American marketplace as well as in the rest of the world. The problem with the Scrambler was not function, reliability, style or even cost. The problem appeared to be the public's long waning perception of Jeep and AMC's ability to "keep up" with the competition. Safety issues (and law suits) plagued AMC Jeep due in part to flawed media coverage of accidents and roll-overs involving the CJ line especially. Again, public perception and trust were being eroded from several different fronts. 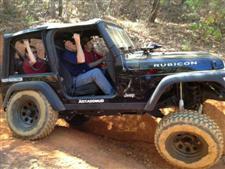 The question on many consumer's minds was: Are Jeeps safe? Consequently, the Jeep Scrambler CJ8 was a relative failure in the marketplace with only a little less than 28,000 units sold from 1981 until its demise in 1985. 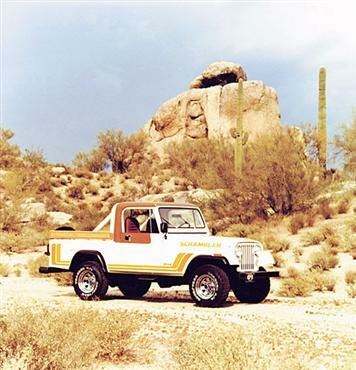 The Jeep Scrambler was one of the coolest designs to ever come from AMC Jeep at the time. 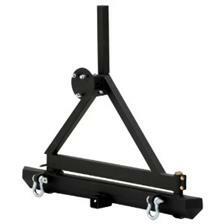 It sat on a 104 inch wheelbase and had all the standard features and options available of any other CJ model. 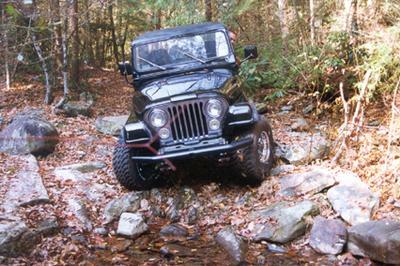 The longer wheelbase also made this Jeep safer than the shorter CJ's of the day. 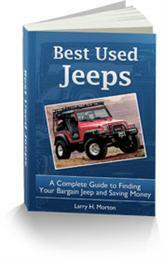 The CJ8 had a short functional pickup bed, roll bar and a removable hard or soft top. This made the Scrambler the only factory convertible pickup in America. The little Jeep pickup had all of the off road capabilities of the CJ line with 4-wheel-drive and the various Jeep mechanical options and amenities. Engine choices ranged from the "Iron Duke" GM 2.5L 4-cylinder ('81 through '83), the AMC 2.5L 4-cylinder ('84 and '85), and the AMC 258 ci straight 6-cylinder. 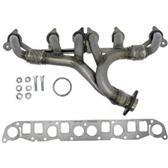 A Borg-Warner SR-4 transmission was standard, and a Tremec T-176 was optional. 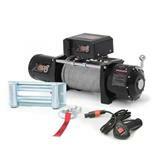 In the 1985 model the manual Borg-Warner T-5 transmission was an option. Automatic Transmissions included the Chrysler 904 in the 4-cylinder, and the Chrysler 999 in the 6-cylinder. Due to minimal sales of less than 28,000 units over its less than 4 year run the Scrambler today is a great find for collectors and restorers alike. 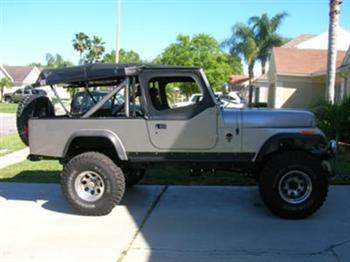 It has always been one of my favorite Jeep models since it came out in 1981...and even today I would love to have one. The Jeep Gladiator Concept reminds me of the old Jeep Scrambler, but in more modern attire. 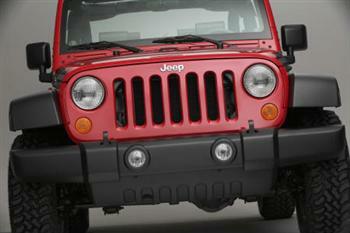 (Compare the Jeep Gladiator Concept pickup with the Jeep Scrambler...click here! 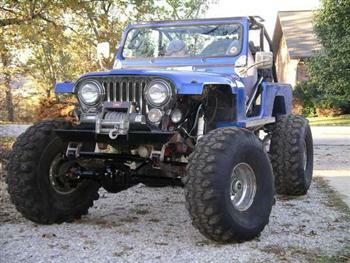 Hap's '81 CJ8 Scrambler...click photo for more! You don't see many CJ8's around on the roads these days, but when you do...you can't help but take notice of the little Scrambler pickup that was just a bit ahead of its time. 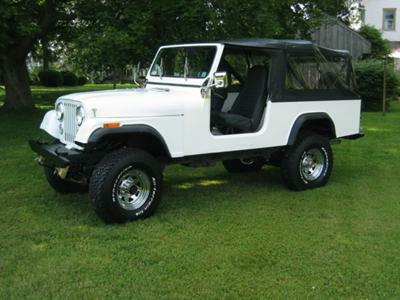 1981 CJ8 Scrambler from Tennessee...Click Photo for More!